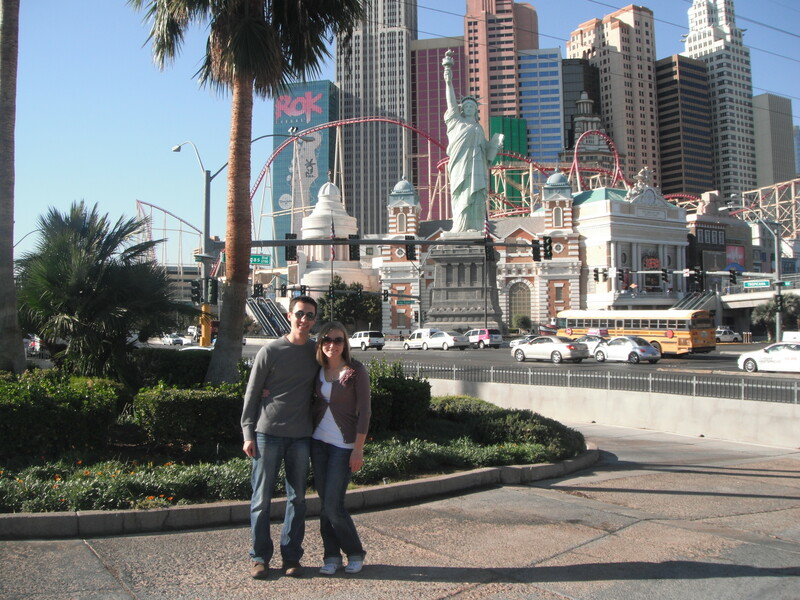 Going to Las Vegas is like being in a foreign country. There are people roaming around from all corners of the Earth, there’s an Eiffel tower, and everything is so expensive you may as well have gone on a vacation halfway across the world. 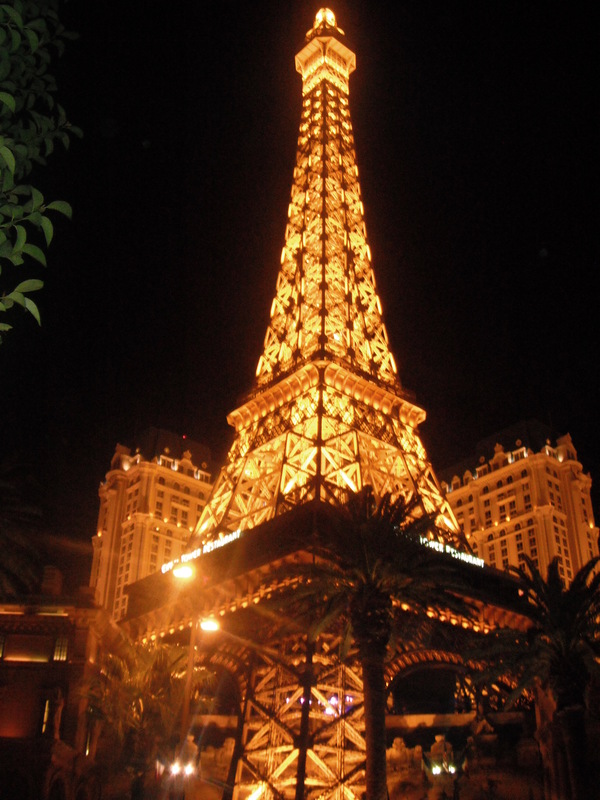 Vegas is a unique place, and there’s a LOT to do there. Jonathan and I were lucky enough to take a FREE 3-day trip there last weekend through an Allstate sales promotion. 3 days was a perfect amount of time for us to spend there. We got to see everything we would want to see, and by the time we took the shuttle to the airport I was so tired from lack of sleep in “Sin City” that I felt like the walking dead. 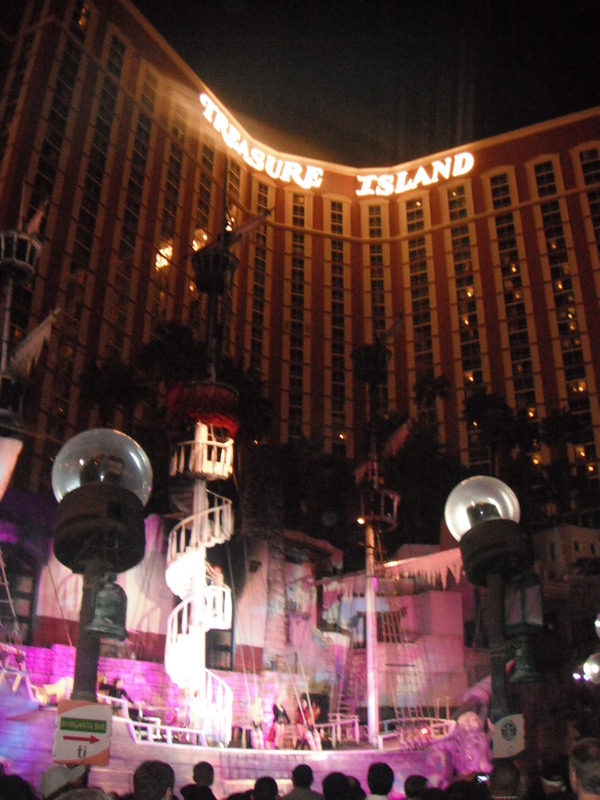 See a Show…we saw LOVE, and when my dear friend Ashley and I went a few years ago we saw Mariah Carey in concert and a magic show…whatever you see though, you need to see a show in Vegas. There are so many good ones, so many truly talented people, and also a whole lotta crazies who will do anything to entertain people! 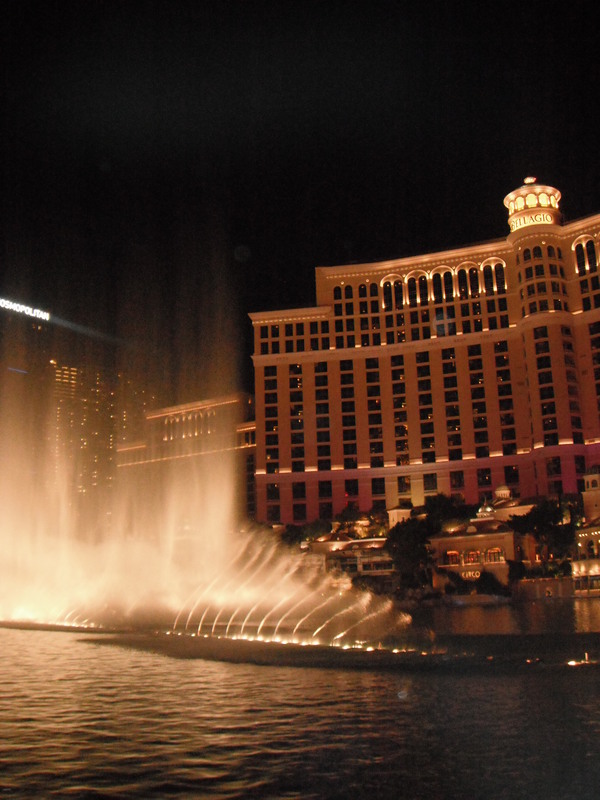 Do the Free Stuff…Vegas will make your wallet squeak, but not everything has to break the bank. There are lots of free things to see like the fountains at the Bellagio (my personal favorite, and they run often, so you could stand there for an hour and see a few shows, or just stop by for a show each time you pass) and the Sirens of Treasure Island show (funny, because this one advertises itself as ‘family friendly,’ even though the girls are very scantily-clad and sing quite provocative songs…but it’s entertaining nonetheless). 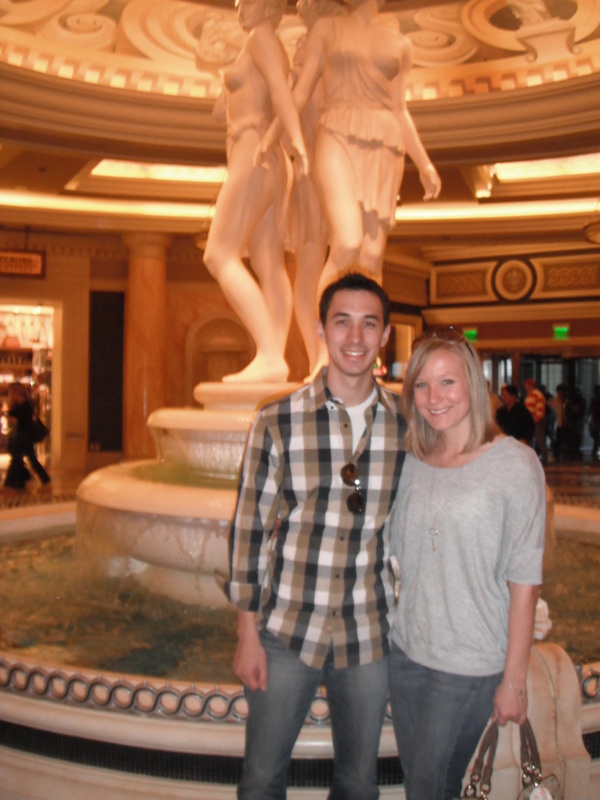 Inside Cesar's Palace, one of the MANY fountains you'll see there! Go Out…and go armed with cash. You pretty much can’t go to any of the fun clubs and pay less than $9 for a Miller Lite. But even if you only stay for a few drinks (or do like we did and drink wine in your hotel room before you leave so the bars aren’t as pricey for you), the clubs in Vegas are like nothing you’ve ever seen. Some are set near gorgeous pools and fountains, and they all have insane decor. 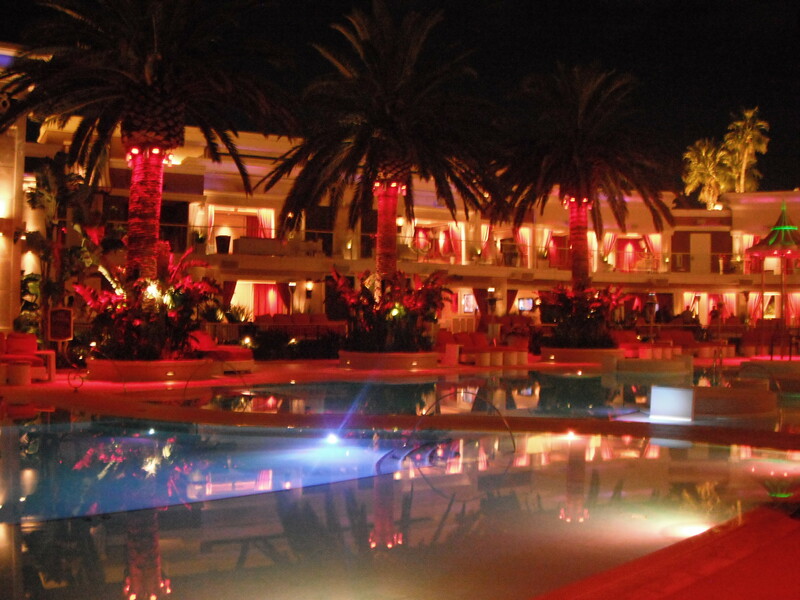 One of the clubs in the Wynn where we saw Lil Jon...half of it is on the pool deck! 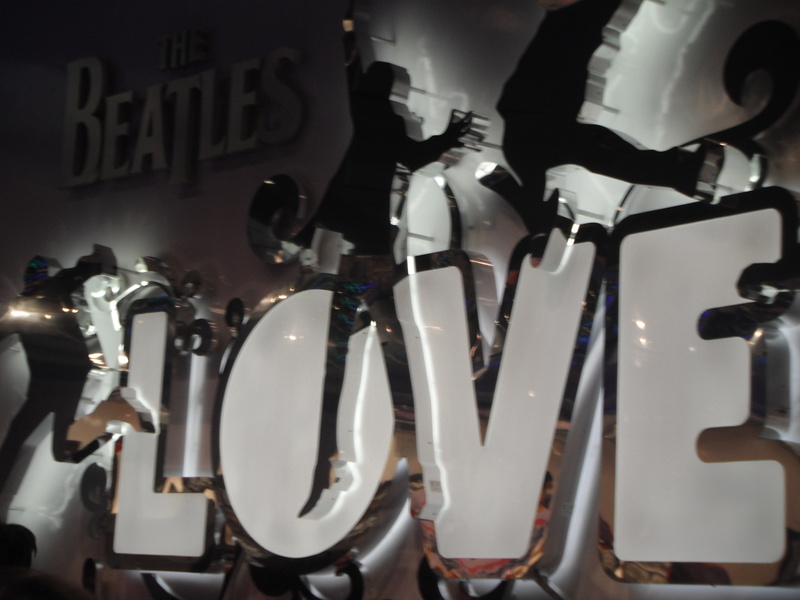 I love Love with my mom when we went to Vegas and loved it. We had great seats and it was such a fun show!